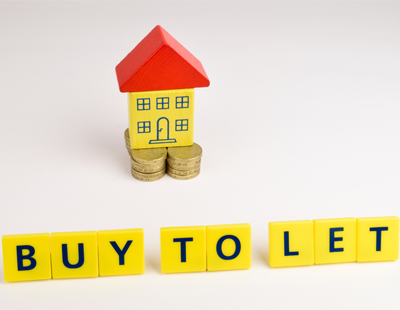 Buy-to-let landlords may have failed in their recent legal battle against planned government tax relief changes for buy-to-let homes set to be introduced next year, but the real losers will almost certainly be private tenants. The failed attempt to seek a Judicial Review of legislation reducing the mortgage interest tax relief for landlords was brought by landlords Steve Bolton and Chris Cooper of campaign group Axe the Tenant Tax, who in a joint statement said they were “outraged” by the decision, and for good reason. By April 2020, once they have been withdrawn altogether, the disastrous consequences of Section 24 will mean that it is likely that higher-rate tax payers will only receive 50% of the relief that they currently get, which will eat into their rental returns. With many landlords likely to face the prospect of having their profits unjustly wiped out, the majority of those who have invested in the private rented sector will have no option but to recoup their losses through higher rents, with tenants paying the price of the government’s tax-grab. Research conducted by Property118 members earlier this year revealed how up to 4.6 million tenants could be affected by the now former chancellor George Osborne’s tax attacks on buy-to-let landlords. In spite of ever-mounting criticism from various quarters of the private rental sector, the government plans to press ahead with the Clause 24 tax-grab, but first it should consider some lessons from overseas. In Israel, for example, finance minister Moshe Kahlon’s plan to impose a new tax on owners of three or more homes beginning next year has not been officially approved yet with many housing experts and lawmakers opposed to the initiative, but Israel’s landlords are not waiting to see whether the measure passes. Tenants report that landlords are already inserting clauses into contracts to pass on the fee’s cost. Dudu Michaeli, a 48 year old tenant living in Tel Aviv told Haaretz, the Israeli news publication, that his landlord owns 10 apartments, which will make him liable for extra taxes from January. “In August the landlord called me to renew the contract for another year and told me that he’s raising the rent by 300 shekels [£65 a month],” Michaeli said. Already there are comparable signs of landlords preparing to deal with higher costs by increasing rents here in the UK. Last year, one of the UK’s largest and most controversial private landlords, Fergus Wilson, reportedly managed to increase rents across a number of his 900 buy-to-let properties in Kent by up to 33% to ensure that his property empire remains profitable following the tax relief changes announced by the now former chancellor George Osborne. Ultimately, if the Treasury does not quickly start to recognise residential landlords as a business and reverse its planned tax changes, it will do little more other than to choke off supply and push up rents. A recent survey conducted by the Residential Landlords Association found that 84% of landlords are likely to consider increasing rents following the former chancellor’s decision to withdraw the level of tax relief that they can claim. 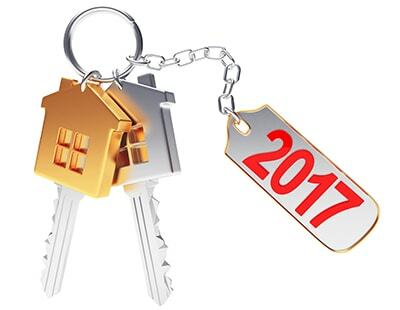 In England and Wales, tenants are already having to fork out more than £70 extra per month to their private landlords compared to last year – a rise of 8.7%, according to the latest figures from letting agents Your Move. Private rents hit a new record high of £887 per month in August and signs are that they will rise further in the coming months, largely as a consequence of Section 24 and higher stamp duty rates. 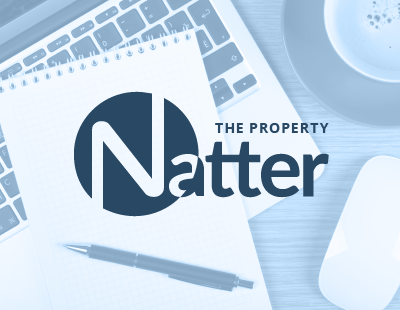 The changes to stamp duty and tax relief will make it harder to make a profit from letting property, which in turn could deter investment in the sector. Aside from the introduction of the stamp duty surcharge in April and the fact that mortgage tax relief is set to be phased out from next year, the 10% Wear and Tear tax relief for landlords who rent out furnished homes has now been abolished, leaving them free to only claim for the amount that they have spent. In addition, the Bank of England’s Financial Policy Committee is being granted greater powers over the buy-to-let market, which could make it even harder to get a mortgage, while landlords have also been hit with new rules, which include having to check the residency of their tenants along with various health and safety regulations. So whilst investing in property has long been perceived to be a safe alternative to the failing of the pensions industry, low savings rates and volatile stock markets, the reality is that for many people it is becoming much harder to make a profit from letting property, without increasing rents. It is unfortunate that many tenants will end up paying the price through higher rents, but landlords will have no choice but to raise rents if they are going to have a chance of staying in business as a consequence of these unfair tax hikes. The changes being made to buy-to-let tax also begs the question; how will this impact on the commission fees charged by letting agents? 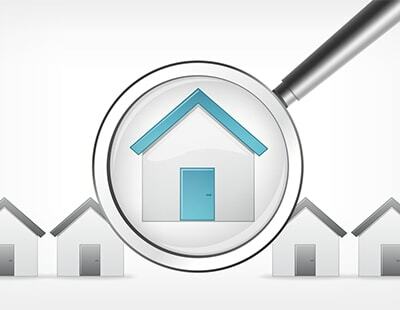 At the moment, many buy-to-let landlords who use a letting agent to manage their properties typically pay a monthly percentage rate of between 10% and 15% for a full management service, which includes finding tenants, drawing up rental agreements and maintaining the property, and so any increase in rental prices would in theory push up letting agents’ fees, based on the percentage of the rent. But in reality, with landlords being financially squeezed, how long until many more turn their attentions to not just increasing rents for tenants but also negotiating down the fees that they are charged by agents? As a landlord, I try to keep my rents affordable this means I have never had tenants not be able to pay the rent. The idea that I can absorb the huge amount of extra tax the changes mentioned will cost me without raising rents is ludicrous. I find it hard to respect the intelligence of the people at the center of making these changes. life will get tougher for many of the millions of people who rent their homes and it's not the landlords fault. Teresa may can talk of making rules for the benefit of all, in practice it just the same old politicians in there bubble not listening. Paul Carton you have received years of near zero interest rates and now another -0.25%. Good to know you will so easily raise rents when you have been bailed out so much at the expense of saver many first time buyers saving their deposits. Can't disagree with this. I do find the defensive nature of many landlords a bit surprising, given they've had it so good for so many years. Why, when things were so sweet for them, didn't they reward tenants with cheaper rents? It's like Unilever's battle with Tesco. When the pound was strong, Unilever didn't reflect this by cutting prices. Now the pound is weak and their profits are likely to be bit, they wanted Tesco to inflict price rises on the customers to make up for the higher cost of imports. You can't, as they say, have your cake and eat it. Landlords have had it good for a number of years - even the stamp duty changes haven't affected them that much - so it's hard to feel massive amounts of sympathy for the buy-to-let brigade. Hi Brit sixteen - unfortunately your comments demonstrate you don't understand the business model for the vast majority of B2L landlords and therefore oblivious to the unavoidable impact it will have on rents and the number of properties being built. An article written by someone who need to go back to school. Some basic economics: rents are determined by supply and demand NOT by landlords' costs. If landlords can increase rents after the tax changes then they could probably have increased them anyway. The article even suggests one landlord is raising rents before the tax changes fully come into force just to prove the point that rents have nothing to do with landlords' costs. Paul Canton's comments seem to suggest he feels that he has a right to a succesful investment. In a capitalist economy you are allowed to lose money as well as make some. This whole change is part of a government squeeze out amateurs ("mom and pops" in the US) in favour of more professional and institutional investment in the sector. That would seem to be a welcome development for everyone except the "mom and pops". "An article written by someone who need to go back to school"
Might want to get your spelling in order if you're going to post a sentence like this. Other than that, I mostly agree with your other points. Er, no: institutional providers of rental property will be even worse for rents. They have much higher cost bases than private individuals who pay themselves nothing for the labour involved in marketing, managing and maintaining their properties. Of course those who are instinctively hostile to small landlords will sneer and say they've got no right to pay themselves anything, profiting off the backs of the workers, blah blah blah, yet somehow these objections fall away when the landlord and property manager is a private company that pays itself salaries and usually much more than the going rate to its approved subcontractors. The evidence that rents are higher under institutional ownership? Just look at the incredible cost of the many blocks of private student accommodation that have been run up in recent years. They are largely occupied by overseas students, as local ones either can't afford the prices or know better and have the confidence and desire to seek out and live in much-more-affordable houseshares run by small private landlords. And if small investors are squeezed out, will any institutional investors runs HMOs? I think not, just as housing associations and council housing department don't offer them: their business models don't allow it and they are scared of the potential costs. N HMOs means higher rents again as people are forced to live in one and two in tiny studios and one-bedroom flats with far higher council taxes than a house split between three or four people. Those who had already taken refuge under the Reverse Mortgage to meet with financial expenses towards the last stages of life are already facing the trouble because the lenders must be taking them to courts to balance the property value when the housing market in UK is getting a downward push.